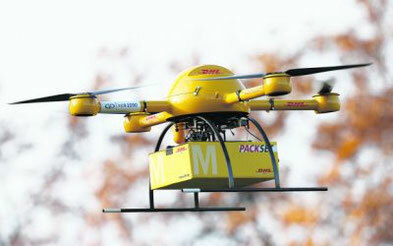 Delivery drones, pictured here is a DHL unmanned aerial vehicle, to remain niche in growing market. Gartner research shows that the global market revenue will increase by 34% to reach more than $6bn in 2017 and grow to more than $11.2bn by 2020. Almost three million drones will be produced in 2017, 39% more than in 2016. The commercial drone market is beginning to stabilise, and companies are now buying drones to test and deploy in nearly every industry. Commercial drones normally have a higher payload, longer flight times, and redundant sensors and flight controllers to make them safer. They are more specialised to a function, such as mapping, delivery or industrial inspection, so prices vary according to these requirements, Gartner analysts said. As for delivery drones, Van Hoy said that despite the attention of the news media, they will not be a major factor for several years. The return on investment has not been proven either in regard to the cost of the drone, operational costs and a single customer delivery. "Delivery drones will be mired in logistical issues like the time needed to return a drone to its origin point after delivery, and will amount to less than 1 percent of the commercial market by 2020," said Van Hoy. "We expect that delivery drones will begin finding a niche in business-to-business applications first, particularly for internal services within one company where logistics will not be such a big factor."